Europe’s economy between 2000 and 1000 BC stood and fell with copper, used for the creation of bronze. At the same time, large quantities of copper were mined in America, though no-one seems to know who was using it. A question of a world economy, and supply and demand? The Bronze Age is a period in Western European history typified by the usage of… bronze. The Bronze Age may be a term used daily in schools across the world, but there is one major issue that is seldom debated: where did the required components, tin and copper, originate from? Indeed, though it is undoubtedly the case that Europe had a “Bronze Age”, archaeologists have accepted that much more copper was used than what they have been able to attribute to European mines. So where did an extremely large part of the copper come from? The answer, as bizarre as it may sound, could be America. It is known that during the European Bronze Age, large quantities of copper were mined in North America. However, no-one is able to answer as to what became of the copper that was mined there. If we were to add the two problems together, do we have the solution? Of course, the answer for the accepted scientific dogma is “no”, as it argues that there were no transoceanic contacts in the Bronze Age, and hence copper could not have been traded from the New to the Old World. But perhaps there is sufficient scientific evidence available that will alter the assumptions of the scientists. The chief ingredient for bronze is copper. The era around 3000 BC saw more than 500,000 tons of copper being mined in the so-called Upper Peninsula, in the American state of Michigan. The largest mine was on Isle Royale, an island in Lake Superior, near the Canadian border. 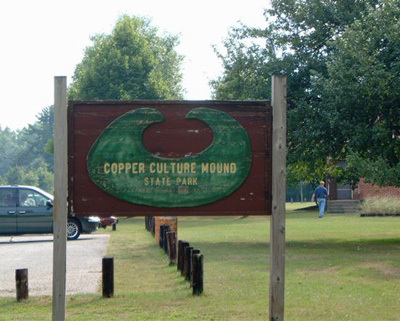 Here, there are thousands of prehistoric copper pits, dug thousands of years ago by ancient peoples unknown. The Minong Belt on Isle Royale has a distance of one and three quarter miles in length and is nearly four hundred feet wide. The copper pits range ten tot thirty feet deep with connecting tunnels; one archaeologist estimated that their digging would take the equivalent of 10,000 men working for 1000 years. After two centuries of speculation, no-one has ever satisfactorily explained where the world’s purist copper might have gone. Extraction from Isle Royal began in 5300 BC, with some even claiming that it began as early as 6000 BC. Evidence for smelting is known to exist from “only” 4000 BC onwards. The exact size of the mined ore is perhaps never going to be exactly determined, but what is known, is that ca. 1200 BC, all mining activity was halted. But around 1000 AD, mining was restarted and lasted until 1320 AD. During this period, a moderate 2000 tons were removed. In North America, not even 1% has been recovered. Some individual pieces weigh 34,000 pounds, which equals the weight of all bronze or copper artefacts found in the United States. Other stones, such as the Ontonagon Boulder, weigh 3700 pounds. 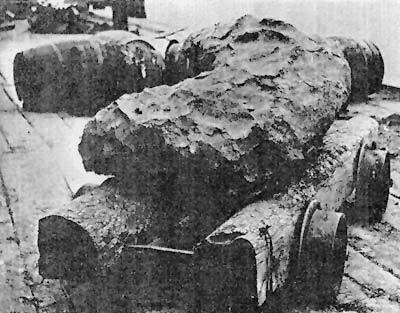 One 5720 pound mass found near McCargo’s Cove was raised part way to the surface on cribbing in the same way others were found in other mines. 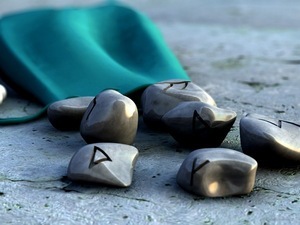 The ancients were raising it, yet somehow, some of these huge stones were abandoned mid-task. Octave DuTemple, one of the first archaeologists to investigate the site, stated that the miners left their tools behind, as if they had thought that the following morning, they would return to their quarry and continue their work. These miners were experienced labourers. The mines were efficiently run, producing large quantities of ore that could be quickly transported to the surface. Between 1000 and 12,000 ton of material was removed from one mine, resulting in approximately fifty tons of copper. Their technique was basic, but efficient: they created large fires on the veins of the copper ore, heating the stone, then to poor water on top of it. This cracked the rock and with the aide of stone tools, the copper was removed from the rock. About 5000 mines have been discovered, in an area that is roughly 200 kilometres long and five to ten kilometres wide. The area mined on Isle Royale measures sixty to eight kilometres. If all mines were placed in one consecutive row, it would measure eight kilometres, eight metres wide and ten metres deep. Every mine that was opened in the past 200 years, showed some previous, prehistoric mining activity. This included mines where the copper ore did not protrude to the surface – showing evidence of the advanced knowledge which allowed the prehistoric miners to identify subterranean ores. 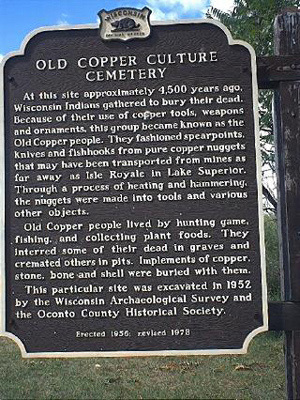 It also worked the other way around, for sites that showed evidence of ancient mining, were in modern times considered to be good omens, as they were often the best sites to find copper – lots of copper. How the miners knew which stones contained copper is a mystery. They obviously did, but where they learned, is not known. As it is not known who was responsible for the activity. Furthermore, if there were no transoceanic contacts, is it not highly remarkable that both continents, completely independent from each other, at the same moment in time, began to mine and use copper and tin, used it to create bronze, yet in America, did nothing “sensible” with it – apart from some artefacts that have been recovered? The Menomonie Indians of north Wisconsin possess a legend that speaks about the ancient mines. They described the mines as being worked by “light skinned men”, who were able to identify the mines by throwing magical stones on the ground, which made the ores that contained copper ring like a bell. This practice closely resembles a similar practice that was used in Europe during the Bronze Age. Bronze with a high concentration of tin indeed resonates when a stone is thrown against it. The legend might have confused the start of the process with the result of the process. Even so, S.A. Barnett, the first archaeologist who studied Aztalan, a site near the mines, believed that the miners originated from Europe. 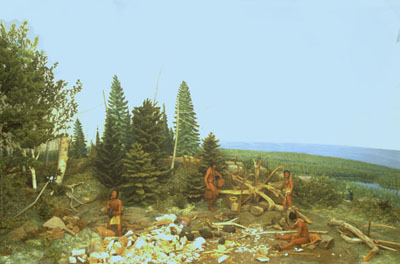 His conclusion was largely based on the type of tools that had been used, tools which were not used by the local people. It is clear that with a vast workforce – possibly as many as 10,000 people – some must have died. It is also likely that at least some labourers came with families. In short, there must have been a number of dead people, but where are the burials? The answer: nowhere. Where the dead were taken is another good question, as there is no evidence of cremation or burial near any of the sites or the Upper Peninsula in general. The only thing that was left behind, were their tools – millions of tools. And this suggests that the workforce, though not necessarily from Europe, was most likely not local either. But that it could very well be Europe, was given a boost when in 1922, William A. Ferguson discovered a harbour on the north coast of Isle Royale. Ships could load and unload, aided by a pier that measured 500 metres in length. This suggests that the type of ships that anchored here, were large ships – and that there were many. The most likely explanation as to the purpose of this harbour was that they formed the point where the copper was loaded… to be transported to other regions. The presence of the harbour further shows that the people working the mines were not local, as the local Indians only used small canoes. It is likely that the mines were only worked in the summer, with the workforce moving further south during the winter months – or returning home across the ocean. This could explain the absence of buildings: people living here in the winter, need buildings in order to survive, but that is not necessarily so during the summer months. As there are no such buildings, it suggests no-one lived here. Equally important is the fact that there are no signs of copper melting factories, required for their future use. This means that the copper was used elsewhere, as copper required further handling for it to be useful. Could we find out where they went in the winter months? Though Europe is a possibility, it is also unlikely. Their most likely habitat was probably Aztalan and Rock Lake, where some years ago, buildings and a temple were discovered just below the water surface. These sites are a mere fifty kilometres south of the “snowline”, which makes them ideal places to settle down for the winter. Their winter residence and summer work site were actually connected with each other via rivers. It is also around Rock Lake that many graves have been discovered. 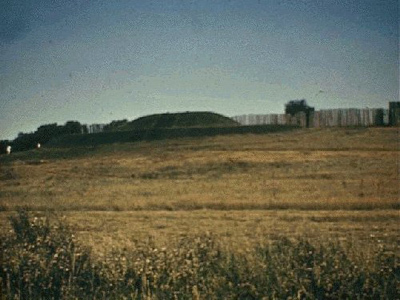 No less than 70 funerary hills containing the cremated remains of thousands of individuals have been discovered there. One of the better preserved graves contains the body of a man with a hammer; a similar hammer was discovered at Isle Royale. Copper nugget at Minong mine So, is the problem of the copper trade fully answered with the discovery of their remains around Rock Lake? Or does it still leave room for a European component to this story? The problem is that though Rock Lake seemed to house the workforce, nowhere is there any evidence that they, or other people nearby, used the copper. So the problem of where the copper went remains. Furthermore, the copper was definitely worthy of a transoceanic voyage. The copper around Lake Superior was the best and most important copper found in the world. In the period of 1000 to 1400 BC, the copper was exported to the Mexican Toltecs – and perhaps even other civilisations further south. But who were the “buyers” several millennia earlier? Copper mining started in 3000 BC, with already a high standard of extraction. Thousands of workmen were organised to work efficiently with tools that could move three tons of ore at one time. They also were able to dig up to a depth of twenty metres, without any problems. Where did this knowledge originate from? North America has no clear source for this culture. When we look to the problem on a global scale, there are only a handful of possible cultures that possessed such advanced knowledge at that time, cultures such as the Indus and the Egyptian civilisation. The most likely candidate, however, remains Bronze Age Europe. What is remarkable, is that Bronze Age Europe ended in 1200 BC, which coincides with the end of the mining activities in America. Coincidence? The mining technique in America is also identical to those used on the British Isles, where the other component, tin, originated from. Together with Spain, the British Isles were the main sources of tin. Still, it is intriguing to note that recently, a tin mine was discovered at Isle Royale – mines which the native Indians did not even know existed. This shows that Isle Royale thus provided the miners both with copper and tin. The only piece of “hard evidence” so far uncovered is statue discovered in ca. 1660 by a missionary, Allouez, who travelled through the region and stumbled upon a 30 cm copper statue, depicting a man with a beard – the native Indians do not have beards. Aztalan To this needs to be added one important observation. Western Europe in the Bronze Age was largely driven by the sea – the areas that were most populated and the furthest developed were all coastal, with many, such as the Orkneys, strangely off the beaten track – yet perfectly situated if there was transoceanic contact at that time. In the traditional understanding, the Orkneys form an output, which somehow makes it difficult to explain their advanced culture and economy that allowed them to build their monuments. But in the “new understanding”, the Orkneys formed a vital post for transoceanic travel, bringing in travellers who were no doubt willing to “spend” in the Orkneys, making the Orkneys a cornerstone of the world economy. More and more scientists are agreeing that Bronze Age Europe was indeed a maritime system. Is it that impossible to suggest that travellers who sailed from Spain to Scotland would not have been able to cross to America? Some might argue that the waters of the ocean were far rougher than those coastal waters, but anymore merely has to travel around Cornwall – where the ships had to pass to take tin – will know the seas there are extremely rough. Would it be impossible to assume that a world economy of copper and tin existed in 3000 BC? For those who believe that the answer is that this is impossible – note how dangerous it might be to expel such a possibility out of hand… This article originally appeared in Frontier Magazine 5.5 (September-October 1999) and has been updated once since.